CalFire firefighter Trevor Smith uses a hose as he monitors a firing operation while battling the Tubbs Fire on October 12, 2017 near Calistoga, California. At least thirty one people have died in wildfires that have burned tens of thousands of acres and destroyed over 3,500 homes and businesses in several Northern California counties. The parent company of California's largest utility is assessing its finances and structure in the wake of wildfires blamed on its equipment that could cost it billions of dollars in liability. PG&E announced the assessment Friday in a news release, citing "the growing wildfire threat." It said its board of directors is engaging outside experts for advice on wildfire safety, but it did not identify any potential plans to address liability or safety. "We want to tap fresh perspectives and additional expertise to help address the changing nature of PG&E's business and the challenges it faces now and in the future," the board said in a statement. National Public Radio, citing an anonymous company official and a former employee, reported that PG&E is exploring selling off its natural gas division — a major part of the company — to set up a fund for potential wildfire claims. It is also looking into selling real estate assets, including its San Francisco headquarters, NPR reported. The utility is facing numerous lawsuits involving wildfire losses and scrutiny of its power line safety by a U.S. judge overseeing a separate criminal case against it. State fire investigators blamed the utility's power lines for causing several wildfires in October 2017. Investigators have not determined the cause of a massive wildfire that destroyed the town of Paradise in November. PG&E reported an outage around the time and place that the fire ignited. 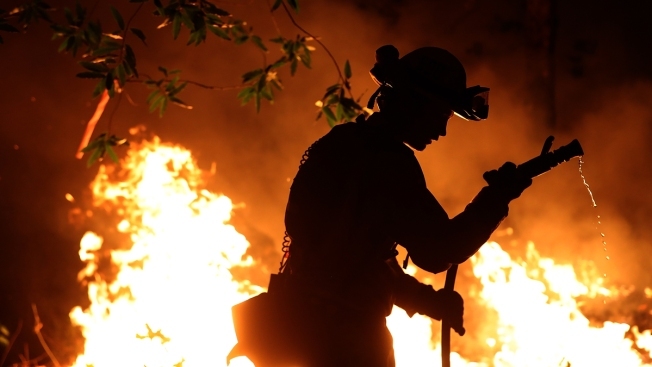 The fire killed at least 86 people and was the deadliest in California history.